Long before they defended Fort Sanders’s Northwest Bastion, the Seventy-Ninth New York Cameron Highlanders was decimated on the slope of Henry Hill at First Manassas, where their first regimental colonel, James Cameron, was killed by a bullet in his chest. 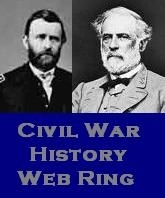 Cameron’s brother, Simon, was then President Lincoln’s secretary of war. This entry was posted in "Knoxville 1863", New York Cameron Highlanders, The Northwest Bastion and tagged 79th New York Cameron Highlanders, Fort Sanders, James Cameron, Knoxville 1863, Simon Cameron. Bookmark the permalink.